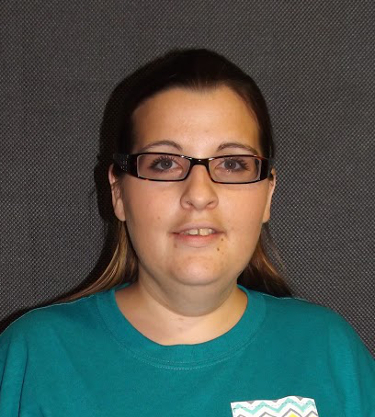 Stephanie began working as kitchen staff at Aldersgate before moving to the Clean Room one year later. Stephanie’s main responsibility is quality control to ensure that all of our contracts are fulfilled correctly and efficiently. She also helps out in other areas on campus such as our residential facilities when they are short-staffed. Prior to her 2 years with Aldersgate, Stephanie was a stay-at-home mom, which she says was a very blessed opportunity. She has been married to her husband Joe for 9 years and together they have an adorable son, Riley, and a giant lap dog, Gunner. She spends her spare time with her family camping, traveling, and watching sports. My time with Aldersgate actually didn't begin with my hire date, but with Joe's in 2008, at a point in our lives where nothing was certain. Our lives had been shaken by the loss of his job in the military after being hurt in the war, and it seemed that nothing was working out for us. Now, looking back, I can see this as growth and direction from God. We have walked by faith with our Aldersgate family and our lives have been so blessed. What a joy and privilege it is to start every workday off with giving all the glory to God in a morning devotion and working with some awesome individuals. I'm forever grateful for the opportunity to be a part of this unbelievable family that is truly there to support and encourage one another.